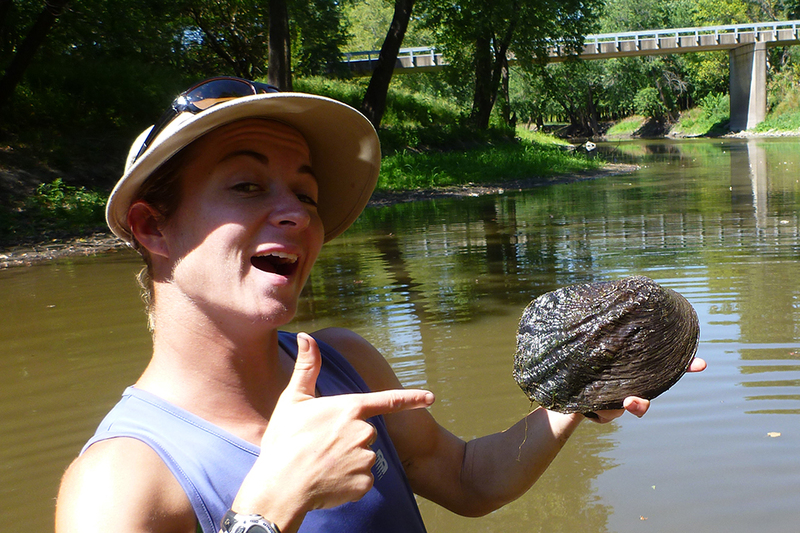 Since joining the Illinois Natural History Survey in 2009, aquatic biologist Alison Stodola has traveled around the state, documenting fish and freshwater mussels. 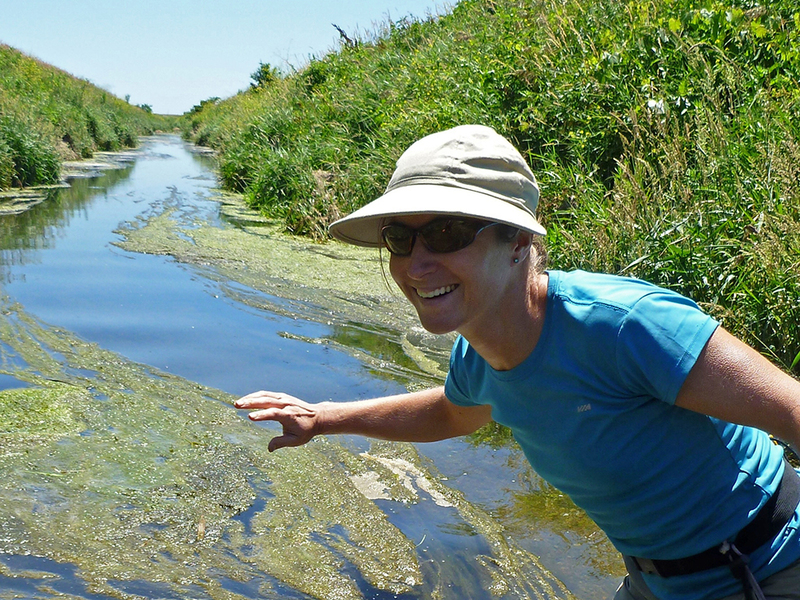 Alison Stodola turned her love of science and stream species into a career. 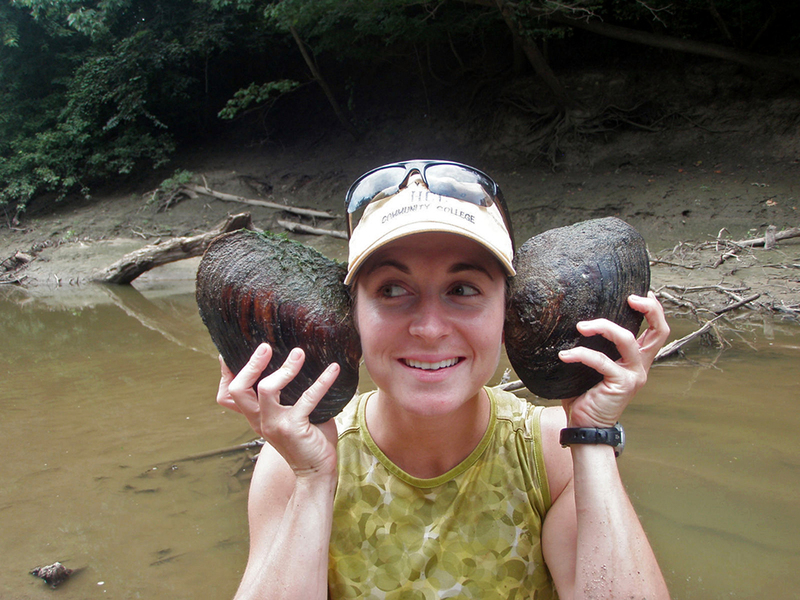 After earning a bachelor’s degree in Fisheries and Wildlife Sciences from NC State University and a master’s degree in Forestry and Natural Resources from the University of Georgia, Alison joined the Illinois Natural History Survey (INHS) as a mussel field biologist. 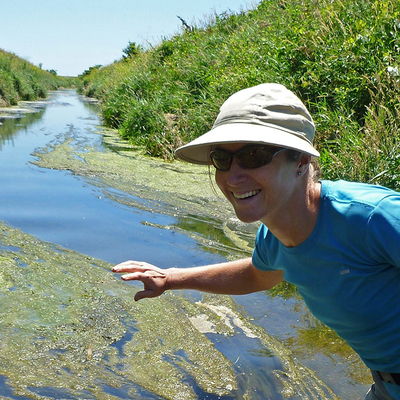 She is currently is an assistant aquatic biologist with the INHS's Further Studies group. A. I think I always had a love of nature and craved being outside. I was in elementary school when I began staging science experiments and was always encouraged by my parents to explore ideas. My mom would send me and my brother outside with an old field guide to edible plants and tell us to “gather some food”. Which of course we did, and lived to tell about it! 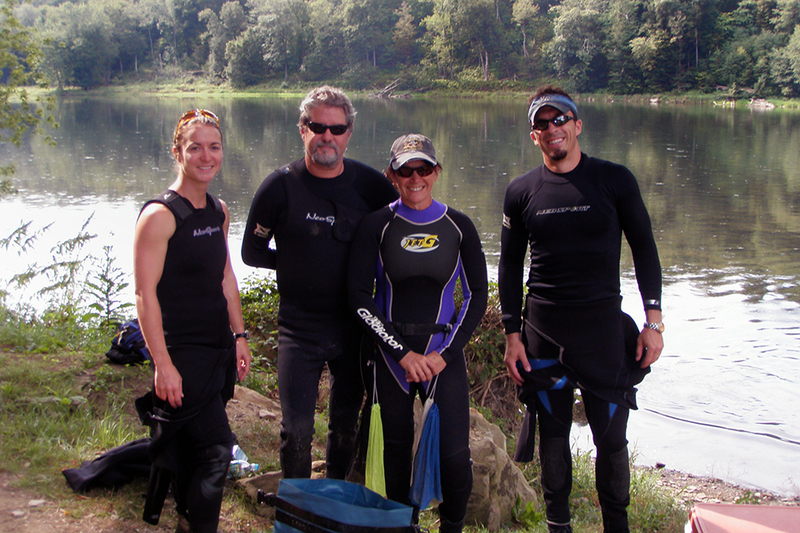 A. I am an aquatic biologist, with emphasis on freshwater mollusks and non-game fishes. I have always loved small streams and the things that live in them. Many Saturdays of my formative years were spent in the creek, catching crayfish. During undergrad and the years before grad school, I held several internships working with mussels, non-game fishes and crayfishes that molded my interest into an actual career path. A. I have been fortunate to have many people in my life whom I would consider a mentor, including current co-workers at INHS. The person that first pushed me down the path to a career in natural resources was my boss (Kathy McFarland) at Grand Teton National Park in Wyoming. She took a chance on me, a 19-year-old from North Carolina with nearly zero research experience, to assist with a project studying Brucellosis in bison. She taught me the basics of field research, the benefits of good field-notes, and encouraged me during my independent research project that summer. 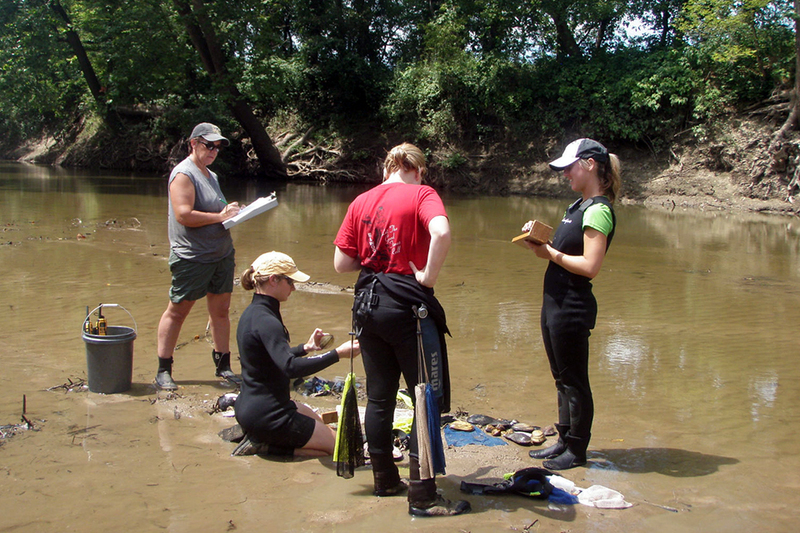 We have kept in touch over the years, and that opportunity paved the way for future internships in natural sciences. A. The best part of my job is observing organisms in their native habitats, which is a side effect of my field work. Typical field work for me is documenting the range or presence of mussels and fish, usually to guide road or construction project recommendations for Illinois Department of Transportation. I work primarily with freshwater mussels—seeing a mussel displaying a host lure (a flap of tissue that mimics a prey item to lure in a fish) never gets old! Similarly, witnessing a darter foraging under rocks or watching a giant school of minnows hang out in an eddy brings pleasure to my job. An added bonus is that the information I gather can be used to update knowledge of a species’ whereabouts or protect a species from harm. A. Follow your interests, regardless of your gender, race, or anything else. Your career may last for decades, so being interested and curious about your field will ensure that boring days are the exception, not the norm.